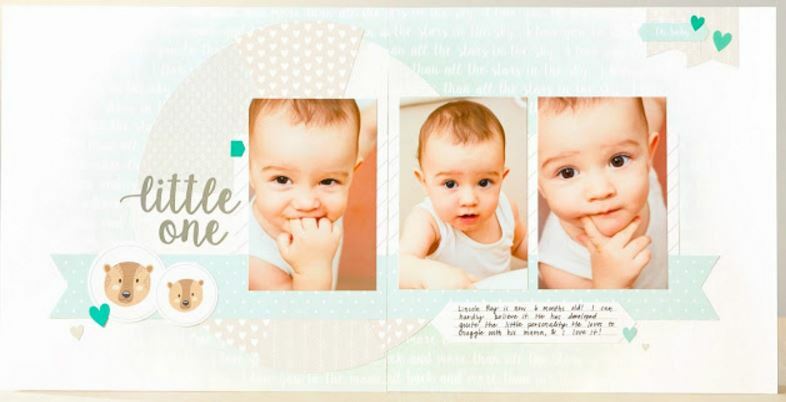 If you’re new to album making, short of time, lacking a little creativity, or just like simple and stunning pages, then you need to check out the CTMH Cut Above kits. These kits are incredible – everything is pre-cut and ready for you to piece together into two stunning scrapbook layouts, and 4 beautiful pocket pages. And all of this in 15 or so minutes!!! Just add adhesive, photos and your story. These kits are truly fabulous, but this month, perhaps even a little more so. Why you ask? Because they’re 50% off during April. You did read that right. At $26.50 these kits are a great deal, but at $13.25 these are a ‘not to be missed’ kind a deal. And not only are they awesome for you, but they are perfect baby and wedding gifts! So – you’d be crazy not to pick up both of these kits this month, click HERE to place your order, or simply phone or email (megan@cropcraftcreate.com) me.